In short, this is something I was looking for a long time. I travel around with daughter for lot of music concerts and public performances. Many occasions we may not even able to get into green rooms due the time / venue restrictions, so she tend to switch on the light inside the car and start using the sun visor mirror. I don’t like the idea of switching on interior lights whilst driving. 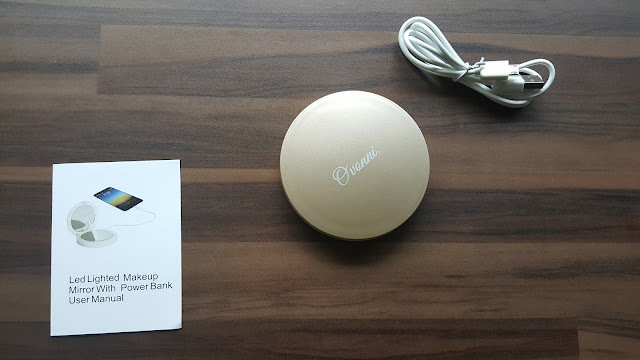 Ovonni Portable mirror is ideal for those who want to do final touch ups / small make up routines in dark environments. Not very bright, but bright enough in poorly light conditions. 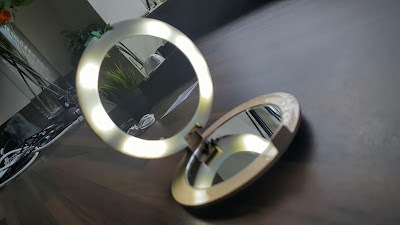 The mirror is very compact and sleek in rose gold colour. 2 mirrors on both sides but one has 2x magnification. Quality of mirror is really good. 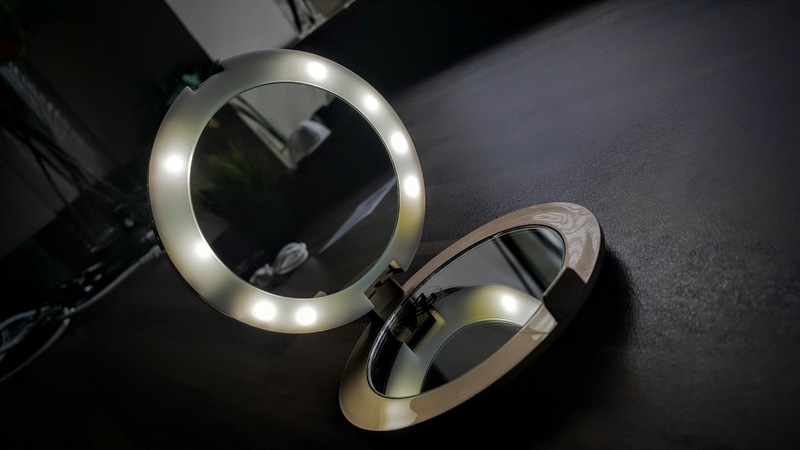 The light is powered by rechargeable batteries built into the mirror. 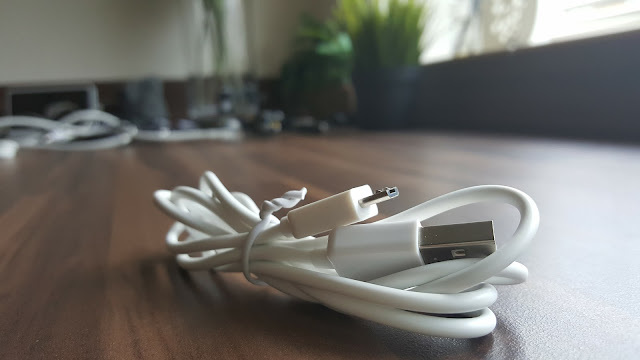 Recharging can be done via supplied micro USB cable to a USB wall plug you may own already. The colour temperature is set to day white. Light is uniformly spread across the circumference with the help of 8 LED units. Please note that I haven’t tested the charging function fully but did a quick test on Galaxy S6, seems to be able to top up the phone charge a bit in short span of time, so definitely it works. 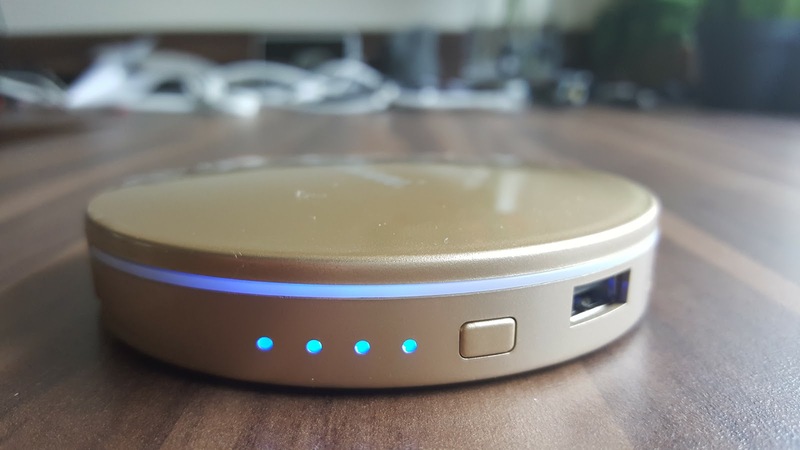 Overall a very handy gadget, at least daughter loves it and a permanent addition in her bag.